Keshav and Jaya are from two villages near Mathura, where at least 80% of households are without any access to a lavatories. 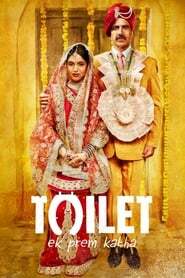 Conflict comes knocking on the first day of their marriage, when Jaya leaves Keshav’s house for good, after discovering that there is no toilet in the home. Distraught and desperate, Keshav sets out on mission to win back his love- by battling against the age old traditions, mind-set and value system of his country.